At Speedflow we have an in house anodising program so it gives us the flexibility to custom anodise our range of products to suit your application. Check out the colours samples available in stock below, other colours may be available by special order at extra costs. Please contact your nearest dealer for more information. Orders may take 2-5 days to process subject to availability of stocks. 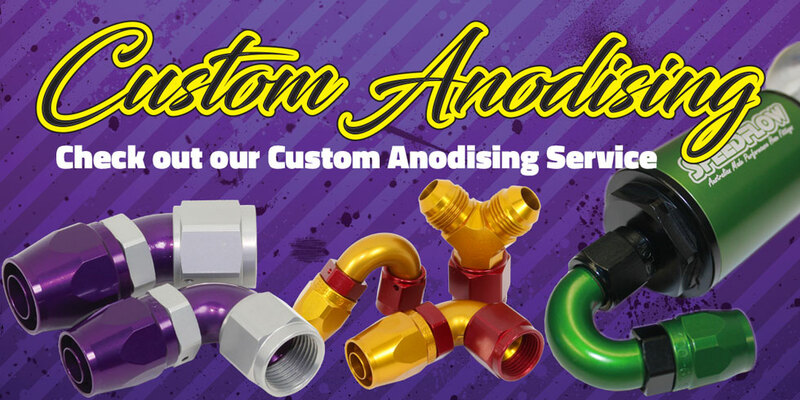 A 10% surcharge is applied to all Custom Anodising jobs.